This document describes how to edit the sqlnet.ora file on your workstation computer to allow direct connections to an Oracle database. With increased demands for data security, University of Wisconsin has tightened our security on data-in-transit between database servers and clients. 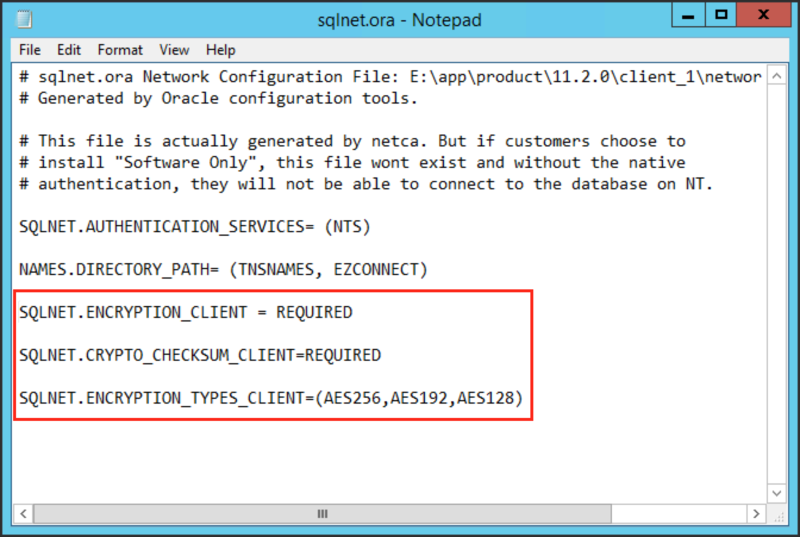 If you are accessing an Oracle database directly, you likely have an Oracle database client installed on your workstation, and likely a file called sqlnet.ora. The security must be enabled by modifying this file using the process described below. Note: If you are already familiar with the process for editing this type of file, you can jump straight to the specific changes needed. Open your Windows Start screen (Windows 8 and above) or Start menu (Windows 7). Type Notepad to perform a search. 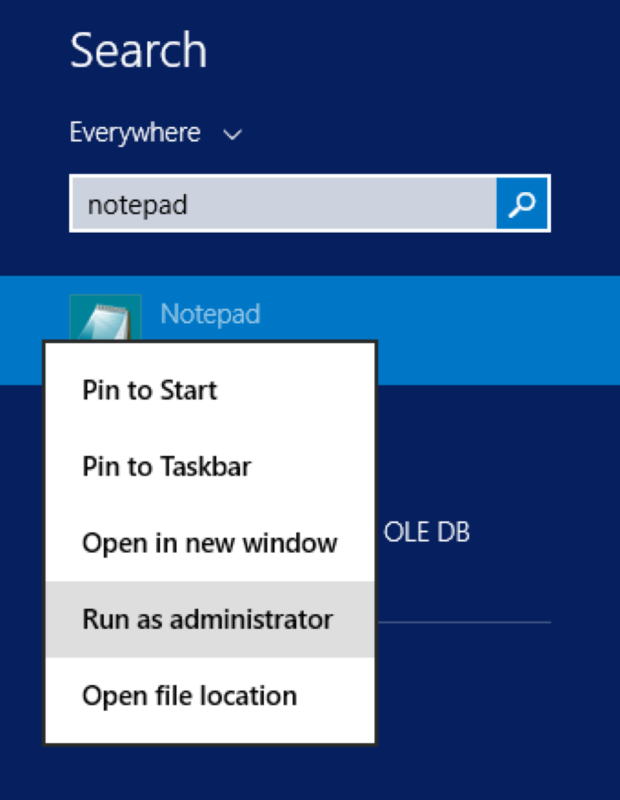 When the application appears in your results, right-click on Notepad and select Run as administrator. In Notepad, click File > Open. In the left-side panel, select This PC (Windows 8 and above) or My Computer (Windows 7). In the lower right-hand corner, change the dropdown from Text Documents (*.txt) to All Files. In the upper right-hand corner, type sqlnet.ora to perform a search. If you do not find any results (i.e. the file does not exist on your computer), click Cancel, then click here to proceed with creating a new file. 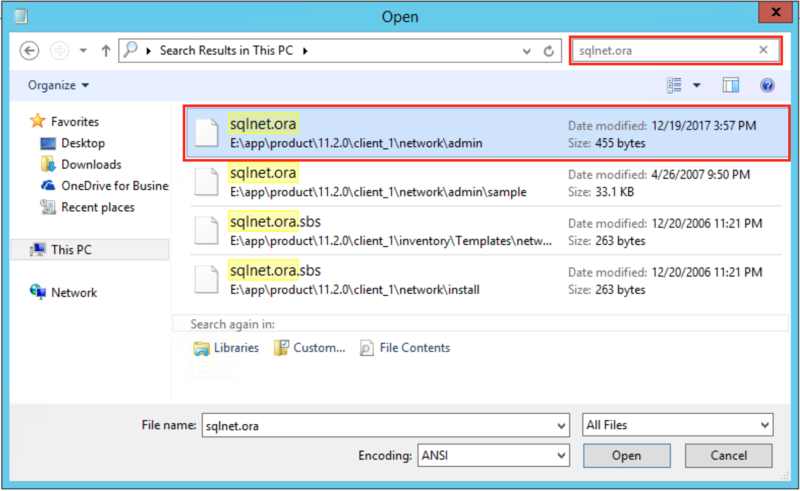 If you have multiple results, open the file whose file path ends in product\11.2.0\client_1\network\admin. 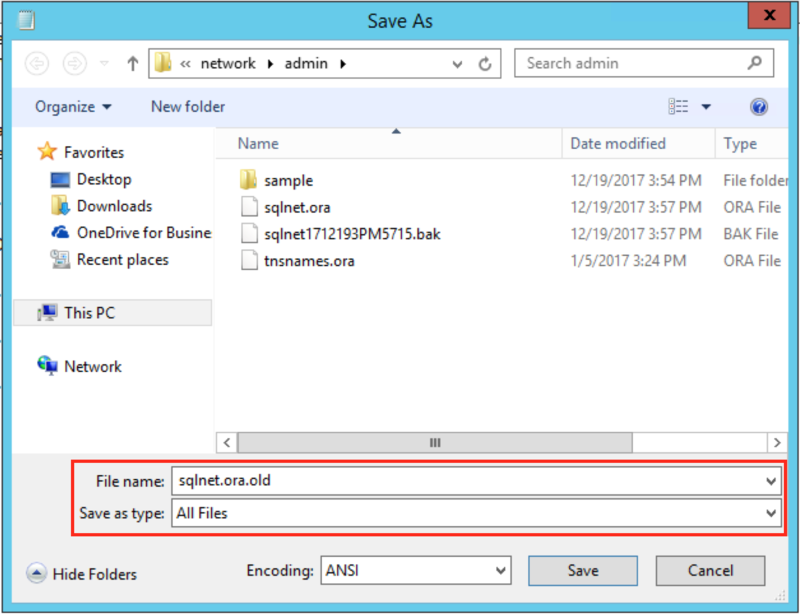 Set the "File name" to sqlnet.ora.old, change the "Save as type" dropdown to All Files, then click Save. 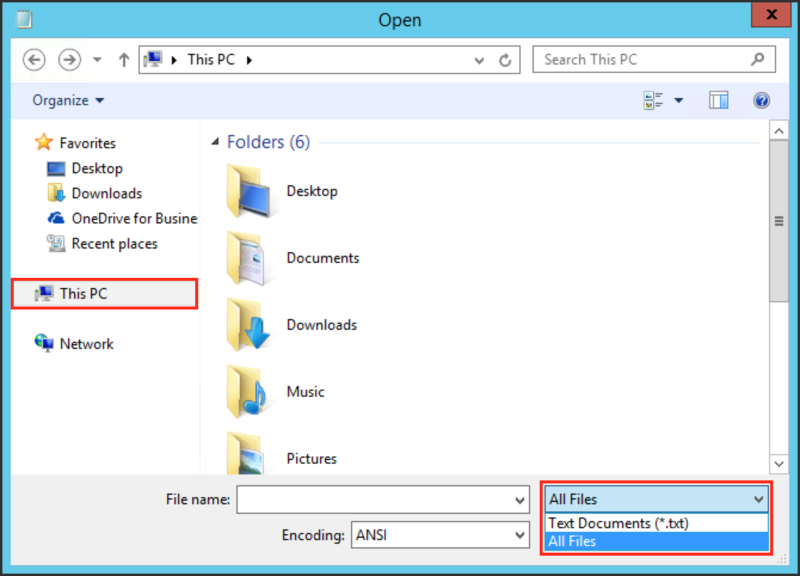 Doing this will create a backup copy of this file in case any problems occur later on. In the upper right-hand corner of the window that opened, perform a search for client_1. This should return a folder of the same name. Double-click to open this folder, then navigate to the network folder. Finally, navigate to the admin folder and double-click to open it. This is where you will save your new file. Set the "File name" to sqlnet.ora, change the "Save as type" dropdown to All Files, then click Save. If you are prompted to replace the existing file, choose Yes.